Students can organize information all on one page. Room for the definition of producer, consumer, scavenger and decomposer and two examples. 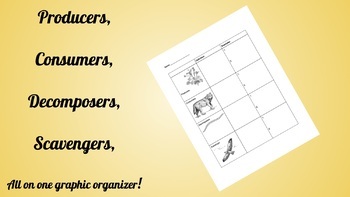 This worksheet is great for whole group, small group or individual work.